Statistics can be unkind to St. Louis. When I took office in 2013, St. Louis consistently ranked among the top five cities with the highest percentage of unbanked and underbanked households. Unbanked families spend approximately $1,200 a year just to get access to their money. Additionally, 88.5% of St. Louis City families qualify for free or reduced lunch; and only approximately 32% of the St. Louis working-age residents have earned a bachelor’s degree or higher. As Treasurer, chief financial investment and cash management officer for the City of St. Louis, I have found St. Louisians are eager to work together across sectors to address major challenges, like unbanked and underbanked households and college accessibility. Our commitment to collaborate with humility for the betterment of our community makes St. Louis strong. Shortly after taking office, I launched an aggressive agenda to educate and empower the citizens of our region about financial literacy. We created the Office of Financial Empowerment, a welcoming atmosphere in City Hall, Room 220, where citizens can get the necessary resources to make better decisions with their money. In the office, the Financial Dignity Center features a classroom, computer lab, and space for one-on-one financial counseling. The success of the office is in large part due to the partnerships with the private sector, philanthropic community, universities, and other governmental agencies. Reducing the underbanked and improving accessibility to education requires resources. A portion of the funding for the Office of Financial Empowerment comes from donations received from institutions like Wells Fargo, Ameren Missouri, BMO Harris Bank, Eagle Bank and Trust, Midwest Bank Centre, People’s Community Action Corporation, and Scottrade Bank. Additionally, our community partners provide valuable support and technical assistance. The Employee Financial Empowerment Lunch and Learn Series, one of the first programs launched by the office, provides monthly financial literacy classes to city employees. Nonprofit organizations and financial institutions teach classes on topics of their choice. The lunch and learns have been so popular that we recently opened the series up to the public. Our partners do not stop there, they send representatives to the Financial Dignity Center weekly to teach visitors about safe and accessible financial products. Our hope is to educate the public about products and resources that can be utilized as alternatives to predatory title and payday loans. Our most ambitious and largest program to date is College Kids Children’s Savings Accounts. Last fall, every kindergartner in a public school in the City of St. Louis received a $50 college savings account seeded by my office. Students will watch their accounts grow through the bonus and reward program which features incentives for weekly perfect attendance, matched savings, and parents’ participation in financial education courses either in person, online, or via a smartphone. We could not have launched the programs without the overwhelming support from our community partners. From nonprofit organizations to banks and credit unions, community leaders and financial professionals are invested in our programs to be a part of the positive impact on our region and address the statistics. 1st Financial Federal Credit Union and Vistashare have worked closely with my office to open the accounts and provide technical assistance. The Center for Enterprise Development’s 1-to-1 Fund has been influential in our donor drives; and the philanthropic community has poured in financial support to increase our reach and scalability of College Kids. As important, I could not have asked for the immeasurable support from St. Louis Public Schools and the Missouri Public Charter School Association. They have embraced College Kids and are influential in sharing resources so that every kindergartner receives a college savings account opened in their name and parents are engaged in the program. Last but certainly not least, Washington University’s Dr. Jason Purnell published research, aptly titled For the Sake of All, shows that children savings accounts change lives and gives students hope for the future. Out of the tragic event on August 9, 2014, the Governor formed a commission to take a look at how our region moves forward and heals old wounds that were never healed properly in the first place. The commission has also catapulted the research of Dr. Purnell and championed children's savings accounts. St. Louis continues to face serious problems, but the willingness of our institutions to work together provides hope. I have seen first-hand what is possible when the government and community partners align to work on issues like financial literacy and college accessibility. With real investments in our children and families, St. Louis will rewrite the statistics and continue to stand strong for years to come. 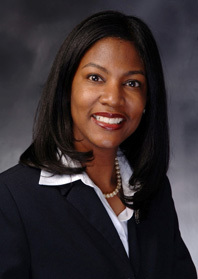 Tishaura O. Jones is the first female Treasurer for the City of St. Louis and former Assistant Minority Floor Leader of the Missouri House of Representatives. As Treasurer, Jones established the Office of Financial Empowerment in City Hall which offers free assistance to citizens who want to learn how to increase their financial capabilities, raise their credit scores, get out of debt, or start their own business. The views expressed by guest writers are not necessarily those expressed by St. Louis Strong.